Individual handwriting lessons with Sheilagh Blyth (OT) and your child occur face to face either in the child’s home or school. They last for approximately 1 hour per lesson. My individual 1:1 handwriting lessons happen in person either in the child’s home or school. They last for 1 hour and the frequency between when each session is booked is down to the parents. Personally I recommend weekly sessions to start as I feel that helps make the most progress. In the individual lessons I bring all the resources. 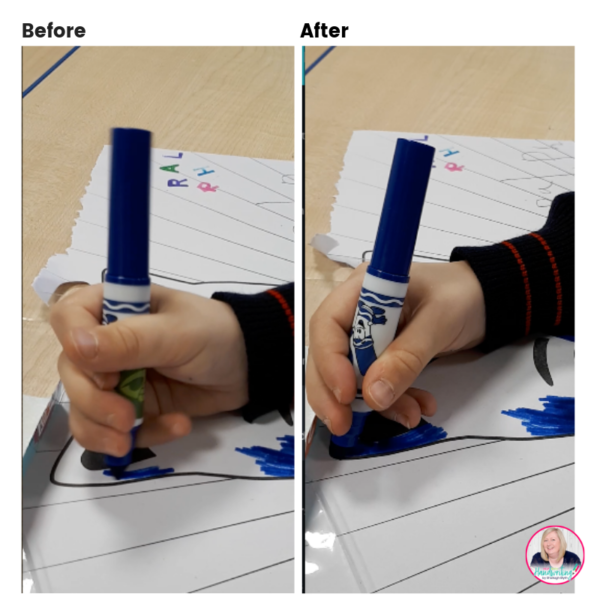 Research suggests that the best way to improve handwriting is to work on a combination of fine motor hand skills and handwriting. This is what I do. People need to pay for a number of blocks of lessons. Again occupational therapy research suggests handwriting lessons need to be anywhere from 6 to 12 sessions for changes to be made. 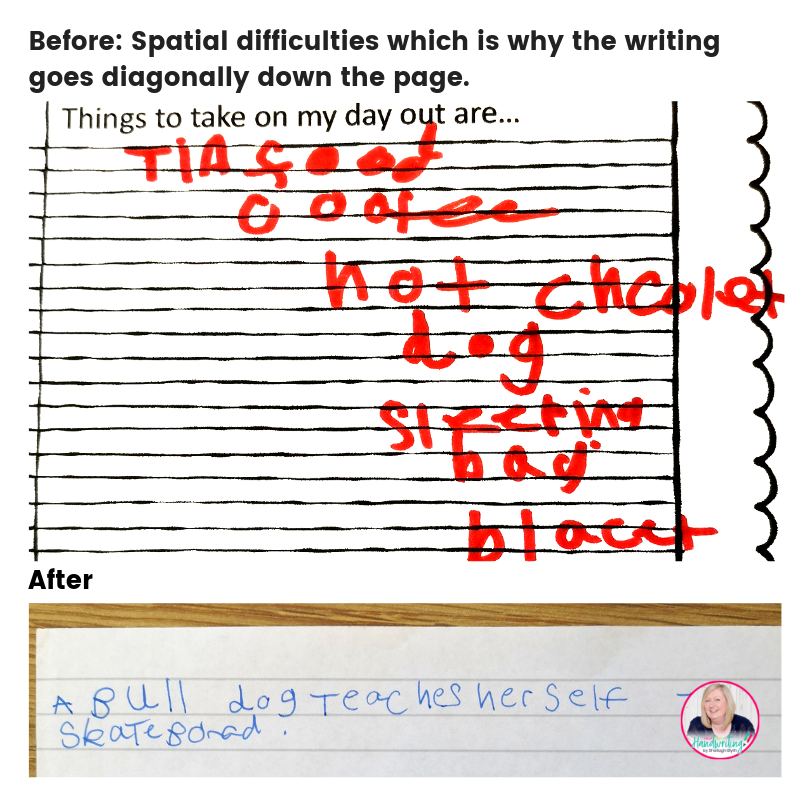 My blocks of handwriting lessons are either 6, 8 or 10. The number is down to yourself to decide however I do suggest you contact me first so that I can further assist you. Sheilagh you have really helped my son and his class teachers. They have taken onboard your advice and Ralph is really working hard on maintain his pencil grip. Your sessions were very child friendly and imaginative, Ralph enjoyed the 1-1 attention and this approach was certainly the best method for him. We have really appreciated your help and I feel much more confident in being able to support Ralph with his handwriting.